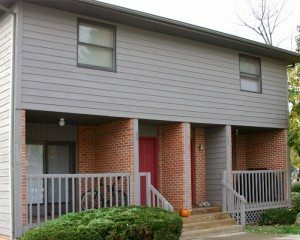 Looking for Bloomington Townhomes for Rent? We’ve got you covered! 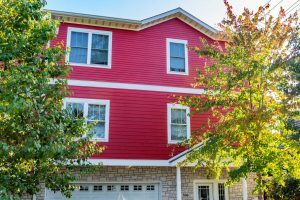 Renting a townhouse is sort of a cross between rental houses and apartments, and you get the best of both worlds! 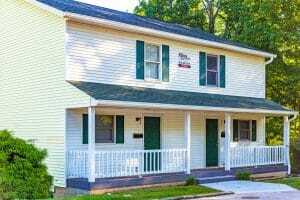 Townhomes for Rent Close to All the Sports Action! 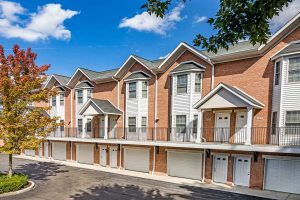 Townhouses are multi-bedroom. They often have multiple floors. 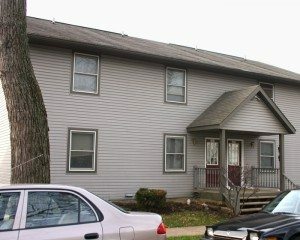 Townhouses have extra rooms, like houses d0. For example, they usually have stand along kitchens and separate living rooms, often more than 1 living room! 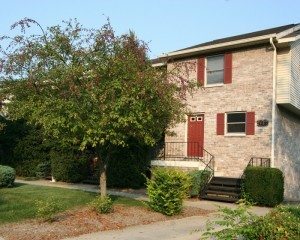 Townhouses also usually have shared common areas that we take care of, as apartments often have. And, you have neighbors, in a community. 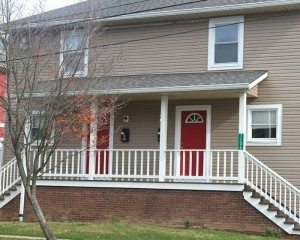 You have that with houses, too, of course, but it’s hard, but not impossible, to never meet your neighbor when their door is in the same building! 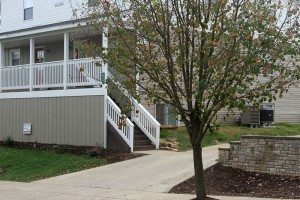 We have 2 bedroom Bloomington townhomes for rent, as well as 3 bedroom, 4 bedroom, and even 5 bedroom townhomes! 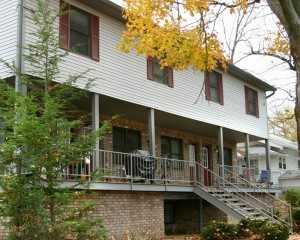 Hey, you can have many more bedrooms if you combine side by side units. Ask about our solutions for large groups too. 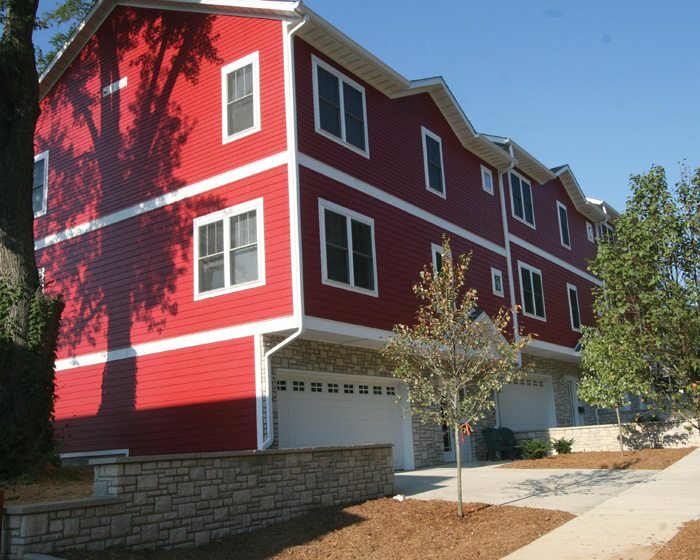 Plus we have Bloomington townhomes for rent everywhere you want to be. Right up close by campus, or off the beaten path. No matter your style, we have a location that fits you! 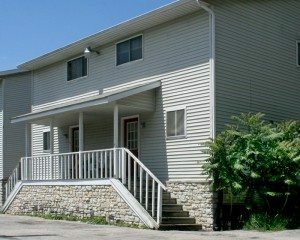 Check out our options below, then contact us and we can help you find the perfect Bloomington townhome for rent. King of the Hill. 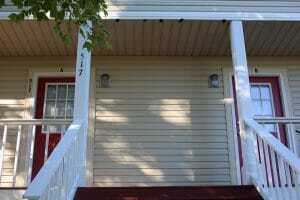 Everything else is downhill from 1106 N Dunn! 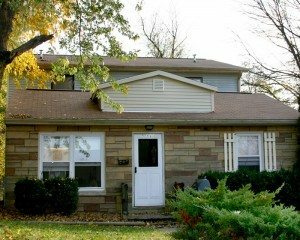 1106 N Dunn is just about as close as you can get to the IU tailgate fields, Memorial Stadium, and Assembly hall, while still being on this side of IU campus from all those great Hoosier sporting venues! 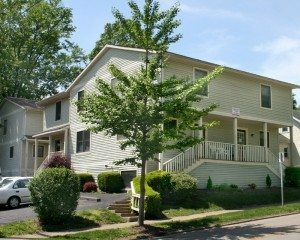 Large 5 bedroom townhomes two blocks south of the stadium, featuring air conditioning, full kitchen with dishwasher, and washer & dryer. 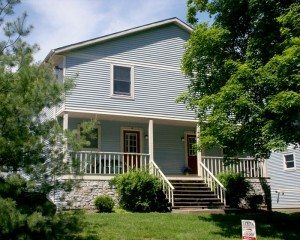 5 bedroom, 2.5 bath townhomes, just north of Dunn Meadow, with den, central air, washer/dryer, dishwasher, back deck, and much more. 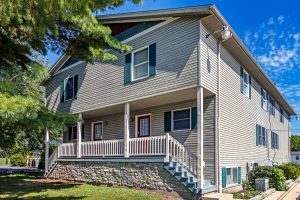 These tri-level, 5 bedroom, 2 ½ bath townhomes are located just 2 blocks south of the IU football stadium. 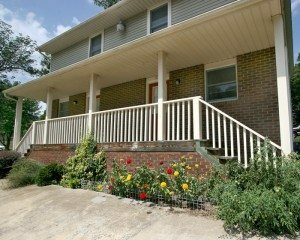 They feature new, beautiful hardwood and/or laminate floors in the living room and dining room as well as a front porch, washer and dryer, dishwasher, garbage disposal, gas heat and central air.